It might only be September, but I've already needed to put things in my diary for 2016. I've got the new Astro Moon Diary, by Astrocal. I've chosen the Moon Diary several times in the seven years since it was first published and it has got better and better. For a witch who likes to make the most of the power of the sun, moon, stars and planets, it is very useful. As well as astrological predictions for what the year ahead has in store and what you can see if you look up into the sky at night, it shows how you can use astrological timings to make your magic most effective, starting - as you might expect - with the moon. The diary is full of astrological data - all clearly explained in terms of what the symbols mean. This is ideal for witches who like to use lunar, solar and astrological correspondences in their spellwork, but who aren't necessarily astrologers themselves. 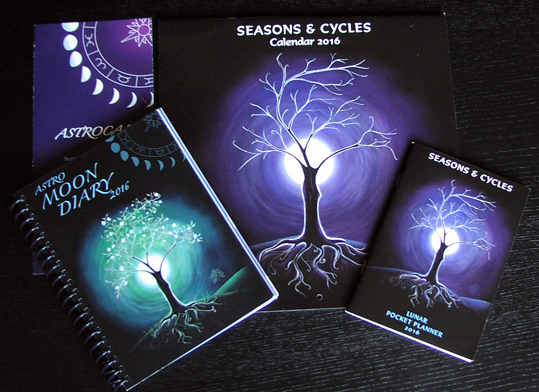 Oh and the diary also has very pretty colour artwork depicting the changing seasons, with text covering how the solar power of the changing seasons can be harnessed and celebrated. Astrocal also produces a calendar, which offers much of the the same information as the Astro Moon Diary, but with more emphasis on the beautiful artwork. 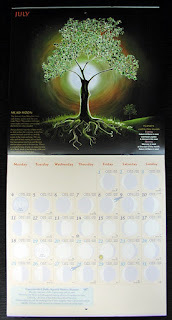 It is called the Seasons and Cycles Calendar 2016 and would be ideal to hang in your kitchen, living room or wherever else you make magic. 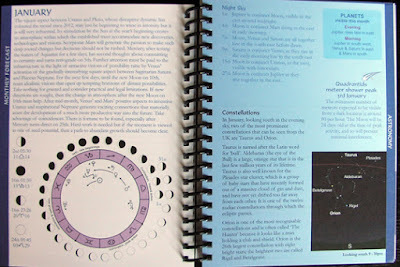 For those who want a pocket-sized diary, there is a mini Seasons and Cycles Lunar Pocket Planner. You can find out more at http://www.astrocal.co.uk/.